When it comes to packing, no one does it better than the highly-trained professionals at Hunter Moving and Storage. However, we understand that many people prefer to do their own packing to cut down on costs. No matter who is doing the packing, it’s critical that it be done properly! If you should decide to do your own packing, here are some tips to help you get the job done right. Begin packing early – don’t wait until the last minute! As soon as you find out you’ll be moving, begin packing those items you don’t use often. 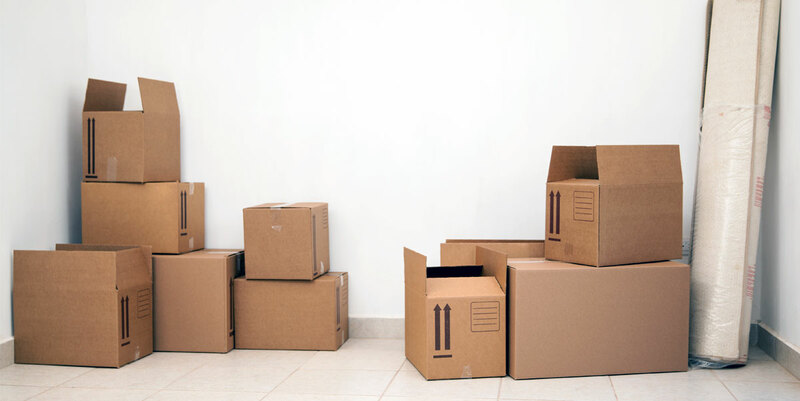 If you’re packing items while you’re waiting for your house to sell, designate one room of your house – perhaps a spare bedroom – to be the carton storage area. The rest of your house will remain clutter free. Use or donate items from your refrigerator and freezer, especially if you will be moving long distance. Use high quality tape – not masking tape! Masking tape isn’t strong enough to prevent the bottom of a heavy carton from breaking open. Using clean packing paper will prevent your items from becoming soiled by the ink on old newspapers. Never use old newspaper on cut glass. The ink will get into the cut marks and you may never be able to remove it. List the contents on the top and at least two adjoining sides of the carton using a bold permanent marker. Label cartons containing items you will need right away “Open First.” Make sure to let your mover know that those boxes should be loaded last and unloaded first. Always pack books and tools in small cartons. A fully packed carton of books can weigh between 50 and 70 pounds. Hanging clothes can be left on the hangers inside a wardrobe carton. Each wardrobe carton will hold approximately 2 feet of hanging clothes. Put shoes or purses in the bottom of the carton before you load the clothes in order to save space. As a general rule, the items in your dresser drawers do not have to be removed unless they are breakable or spillable. Never pack flammable items such as aerosols, fuels, or toxins! Mirrors and large framed pictures should be packed in special mirror cartons. You may be able to pack several pictures in one carton depending on the thickness of the frame. Separate the pictures with bubble wrap, blankets, or comforters. Blankets, pillows and towels are great for wrapping and padding fragile items. Use generous amounts of packing paper inside the cartons on the top and on the bottom to provide a good cushion for anything breakable. Mark “FRAGILE” on any carton containing breakable items. Pack cartons as tightly as possible. Loosely packed cartons allow the items inside to shift increasing the chances of something breaking. Pack all electronics in their original cartons if available. If not, pack them in sturdy cartons with plenty of padding.